Love is a very tender feeling, it has depth like that of a sea and it has fire like that of a volcano. Anyone could easily die out of absence of love therefore it is said, spread love as much as you can so you will have tons in return as a reward. Within family, within friends and someone special; make love your guiding star and let Cupid hit you with its arrow because the season of love is all set over here to make us awe-stricken. Valentine’ day is not far and you must not forget to make it a complete festivity and jubilation for your lovelorn because yes she/he deserves to be loved and when it comes to the month of February then keep showering your affection through a number of ways and make that special someone feel more special than ever. Make it look like a complete dream just like in fairytales and come up with a lot of surprises to make it the best of your memory for life. Red roses’ bouquets, valentine gift baskets, chocolates and colognes etc. are so common and yet everybody likes to send them away to their partners because it shows a very kind and lovely gesture of love and anything that brings smile to the face of your loved ones, should be done there & then without any second thoughts. Save up some money to bring sheer happiness in the life of your partner and reserve a date to take her/him to an aromatic ambiance where the two could enjoy each other’s company and make remembrances together. Do let us know about your Valentine’s Day experiences, we love to hear from you with open heart. Since February is dedicated to the symbol of love, let me highlight what I am presenting before you today. 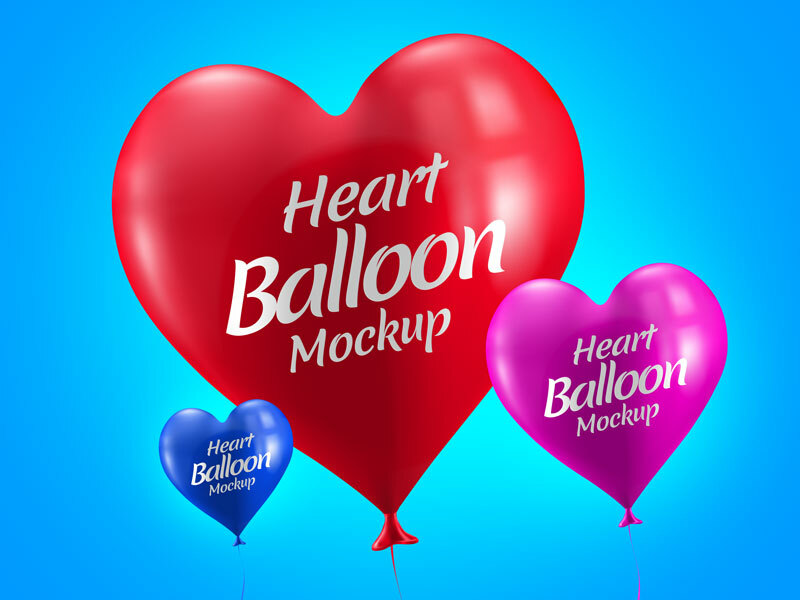 It is a free heart balloon mockup for valentine gift in which you can insert any love note, image, saying, quote or anything you like, you can use this mockup on your blog commercially or use it personally for yours or your client’s tasks. Or you may use it as it is with slight alterations of colors and sizes, whatever suits you. 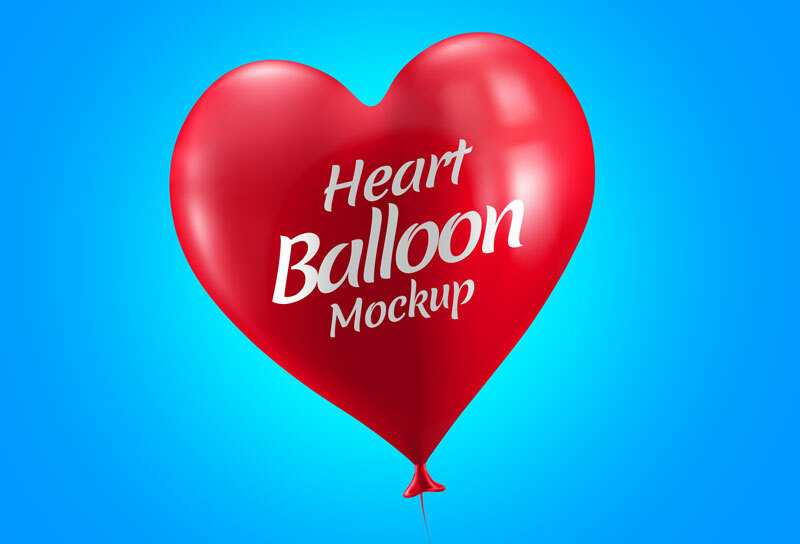 These hearts can also be used for greeting cards, Valentine’s Day party flyers and brochures etc. Free hugs for you all, let’s share the warmth. Here we are!